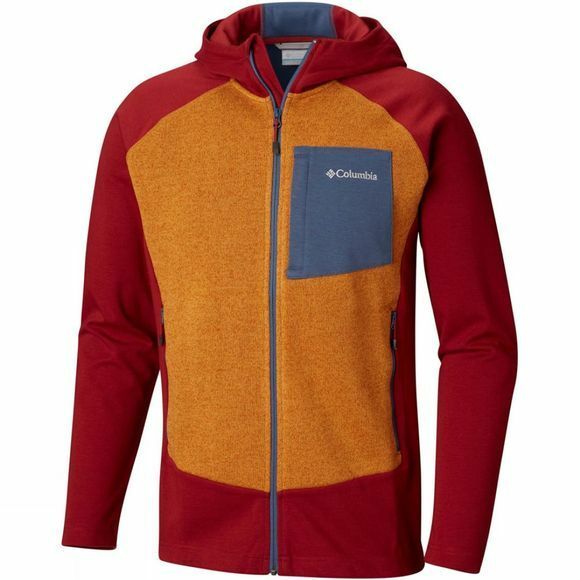 Wrap up in style with this contemporary Mens Marley Crossing Hooded Hybrid Jacket from Columbia. 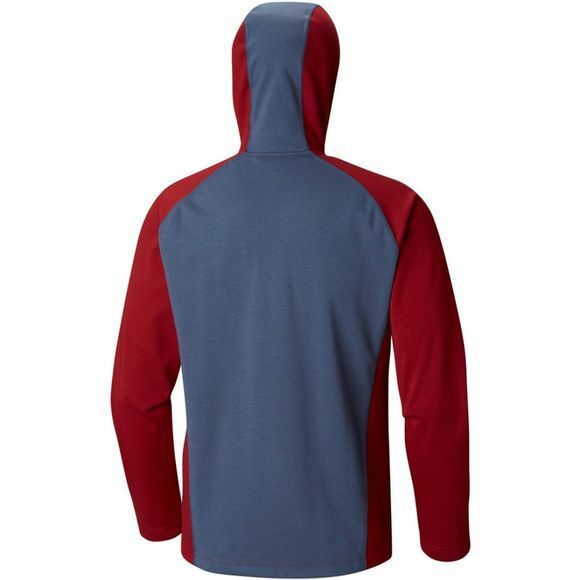 Keep your essentials on hand in the zippered chest pocket and protect yourself from the rain with the attached hood. The contrasting front panel gives this jacket a modern twist. Choose your colour combination from bold red and canyon gold, subtle black and graphite, or natural peat moss and most done.